I recently spent some time searching online for some suitable boxes I could buy for shipping larger paintings. Mostly what I found were either way too huge, way too small, and/or not narrow enough. 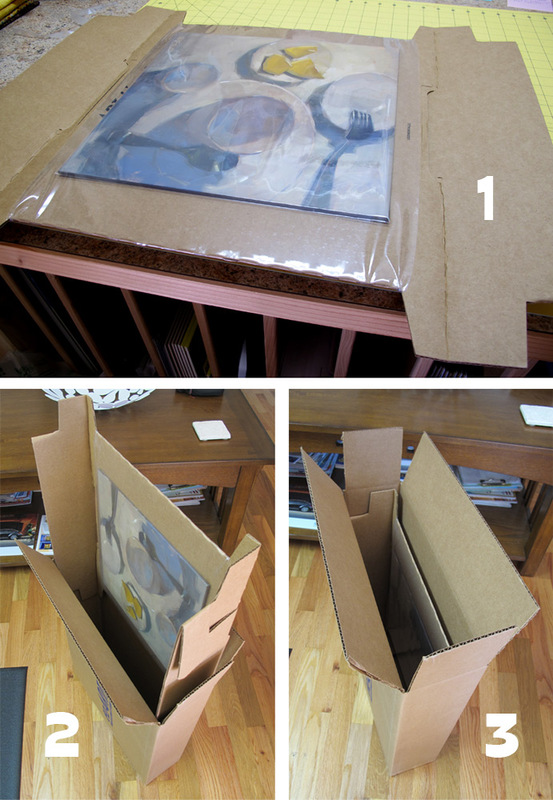 Finally, I landed on some boxes specifically for shipping art that are simply ingenious! 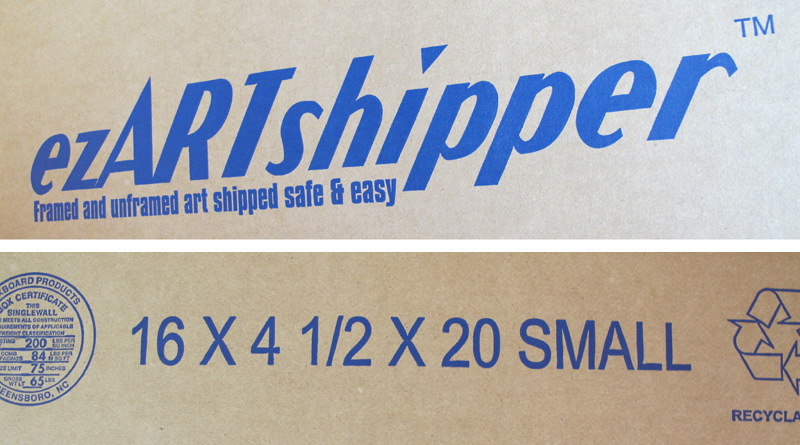 The boxes are called ezartshippers, and you can get them from aswexpress. They come in 4 sizes: S, M, L & XL (exact dimensions on website). I use these to ship anything 12x12in. and larger. 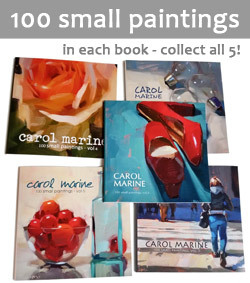 Following are some pictures of me using a "small" box. The best thing? No need for bubble wrap!!! 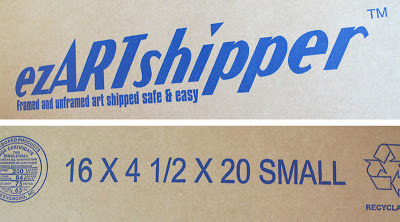 Thank you for the information on EZ Art Shippers! I was not familiar with them. Sure beats 'making" your own! WAY COOL! THANKS! I will check this out. I will use these...thanks for the information! I've never shipped work to a client before, but probably will soon. I am always concerned about the possibility of a panel sticking to packaging...even when a painting is dry (paint sometimes has a weird way of reanimating itself when you least want it to). However, I see you are putting a plastic wrap over your panel. As a pro, would you be able to give me definite assuring words that a painting won't stick to packaging because I want to use this type of shipping SO BADLY!!!! Thank you for sharing this very valuable info with all of us out here. You are most generous with these type of tips, how sweet of you! Good things happen to really nice people, it's kind of my motto, thanks again. THANK YOU! And thank you for the tip about clearbags.com. I will check them out! -- Patty D.
Those oranges really pop out...great dimension! 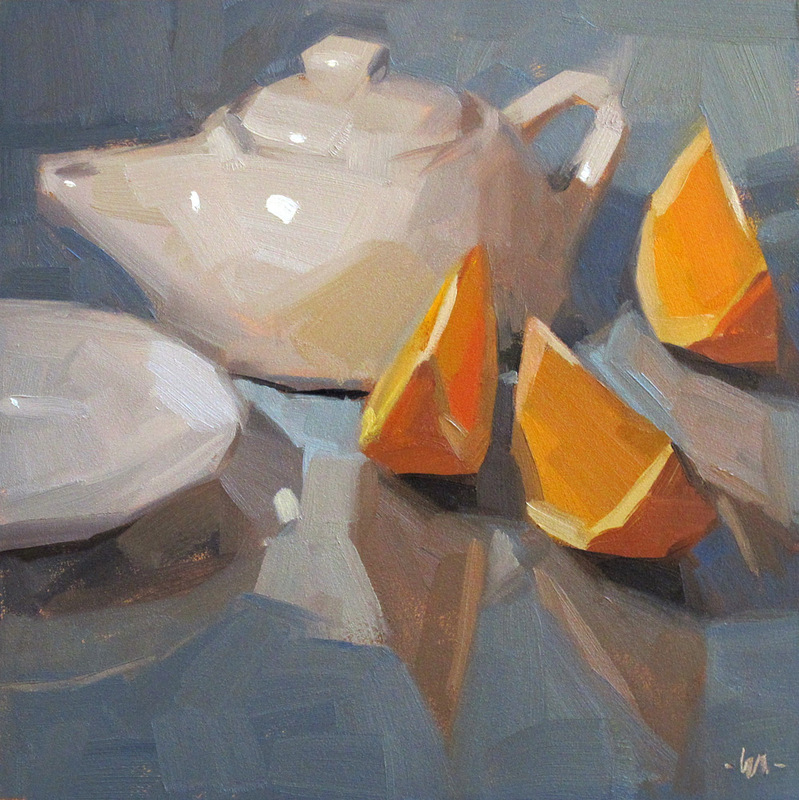 And, I love the tea pots smooth texture combined with the texture of the oranges.